Alternate Access Vendor. The private line service between an entity and facilities at another location, whether owned by the entity or an unaffiliated entity or access service between an end-user and an Interexchange carrier by other than a local exchange telecommunications company. The private line service is dedicated point-to-point or point-to-multipoint service for the transmission of any public telecommunication service. The method or facility used to enter the LEC or network. The two types of access services are switched and special access. The actual measurement (interval) of time it takes for the originating call to be delivered by the LEC and acknowledged it is received by the LEC to the customer’s equipment. The total time necessary to get from one section of the medium to another. On LANs or multi-user operating systems, an account is set up for each user. Accounts are usually kept for administrative or security reasons. For communications and online services, accounts identify a subscriber for billing purposes. Field Identifiers (FIDs) and indicators that identify how an account will be billed or processed through the billing system. A specific unique number that may be based on your BTN, depending on LEC. Number used to identify LEC or IXC customer. An AT&T packet service transmitting analog and digital packets of data from 2.4 kbps to 56 kbps. See also APS. An analog control channel (ACC) message sent from a wireless phone to the radio base station. to attendant positions. Calls are served in the approximate order of their arrival and are routed to service positions as positions become available for handling calls. Access Customer Name Abbreviation. Three-letter code assigned by Bellcore to carriers for identifying the owner of a billing account. Anonymous Call Rejection blocks unwanted calls previously established with LEC. This feature will not allow any incoming call marked private or anonymous. These callers receive a message telling them the called party is not accepting anonymous calls or private calls. White page listings inserting the main account number in other directory locations where callers may be searching. Asymmetric Digital Subscriber Line. A form of digital communications that can support up to 6 Mbps for downloading. This digital local loop normally runs on copper cables providing larger bandwidth in one direction than the other. This enables upstream connection speeds of 128 Kbps and downstream connections of speeds up to 1.5 Mbps. See also DSL. Access Daily Usage File. An optional file offered by BellSouth to CLECs that provides electronic billing data for billable messages. ADUF provides the CLEC with daily information of end users’ originating and terminating access carrier messages. A seller of discounted network services who contracts for bulk services for significantly reduced rates. Account Inquiry Center. A call center that receives and processes calls from customers regarding the status of their accounts. These lines are either 1FB or Circuits used to connect a location with the Police or Fire Department. Alternative Local Exchange Carrier. A Telecommunications Company certificated by the Commission to provide local exchange telecommunications in this state on or after July 1, 1995. A circuit designed and reserved for the use of a particular customer. It is not recommended to advertise an allocated circuit until the line is in use (connected at the Demarc). Circuits that are electrically conditioned to utilize both voice and data signals. Method of voice transmission used in today’s telephone system. This method converts voice to electrical signals and amplifies them so that the voice can be sent over great distances. Analog transmission has been the standard way of communicating via modem. It is, however, the least effective at providing telecommunications bandwidth. A method that uses continuous changes in the amplitude or frequency of the signal to symbolize or carry transmission signals, data or other information. The traditional telephone signaling technology where information, such as sound waves, can be converted into electrical impulses of continually varying strengths. Anonymous Call Rejection blocks unwanted calls previously established with LEC. This feature will not allow any incoming call marked private or anonymous. These callers receive a message telling them the called party is not accepting anonymous calls or private calls. Sometimes LEC uses *77 to activate, and *87 to deactivate. American National Standards Institute. The primary standards organization for the United States. Accunet Packet Service. An AT&T packet service transmitting analog and digital packets of data from 2.4 kbps to 56 kbps. See also Accunet Packet Service. A shared data network that can allow up to 126 devices and one switch to be connected, Arbitrated loops operate at 200 Mbps (full duplex). A 3-digit number that usually identifies a geographic area of a telephone system. In North America, the three digit Numbering Plan Area (NPA) is the area code. Application Specific Integrated Circuit. An integrated circuit (IC) that is designed to provide specific signal processing functions. This is different from a general purpose IC that performs less specialized signal processing functions. ASICs are often created from a gate array (batches of logical gates) through the use of a custom mask that interconnect the gates so they can perform specific functional operations. Analog Subscriber Loop Carrier. A highly efficient analog transmission system that uses existing distribution cabling systems to transfer analog information between the central office (system) and a user’s telephone. An analog double sideband carrier system is sometimes used in facilities-starved areas as a permanent or temporary engineering solution. It employs bi-directional transmission over a single exchange grade cable pair used for control. One control pair derives 8 channels using FDM over a 8 to 144 kHz spectrum. These systems are designed for 140 dB with repeater spacing at 35 dB intervals and are successful in low-density suburban applications (e.g. summer home areas). The form of data communications that transmits data one character at a time with start and stop bits. This is the method used over POTS with modems. A measurement in a communication network of the amount of time, or number of times that all trunks in a group are busy. This means they are unavailable for service because they are in-use with other channels. Asynchronous Transfer Mode. A form of fast packet switching allowing data transmission via Broadband ISDN, a faster form of digital communications than ISDN. The name of central office equipment manufactured by AT&T. It is the leading telephone switch platform. These switches use Custom (proprietary) or NI-I software. usage based feature for automatically redialing a busy number at certain intervals. This eliminates constant redialing and with this feature, once line is reached, your phone will ring. Also known as Repeat Dialing & Automatic Callback. A 64 kilobit-per-second bearer channel. The standard BRI connection includes 2 B channels, for an uncompressed capacity of 28Kbps. This bearer channel is used for information transfer. The amount of data that can be forced through a given channel. The greater the bandwidth, the more data able to travel at one time. The capacity of a line to carry signals. The set of rules that manage bandwidth over PPP dynamic Multilink connections. The standard ISDN line, consisting of 2 B-channels and 1 D-channel. In trunk studies and forecasting, the average load offered on the first route available between two identified areas. Base load is found by averaging the traffic measured during the same 1-hour period each day over a period of several days. Base loads often are used to forecast future loads. A communication connection’s capability to carry voice, circuit, or packet data. The 2 B channels in a BRI connection are bearer channels. Basic Class of Service. The type of service (USOC) to which the customer subscribes at the earning number level. Based on the USOC, the service order rating job assigns a three character service code for rating and classifying the service on a broader scale. Billing Data Tape. CBOS standard record layout. Bell Communications Research. The research arm of the RBOCs. Bellcore was part of Bell Laboratories before the breakup of AT&T. Bellcore plays a leading role in developing ISDN standards and other ISDN activities among its member telephone companies. A group of restrictions used for multiple locations as a standard operating process. BellSouth Industrial Billing System. BIBS is the usage rating engine for Unbundled Network Elements (UNE) Usage. Combining numerous like LEC billings to consolidate. A billing aggregator is a company that gathers billing records from one or more companies and posts them to another billing system. With this type of billing the customer pays the carrier, the carrier pays the aggregator, and the aggregator pays the value added service provider or the CLEC. The cycle begins when Service Orders, Miscellaneous Input and Usage are available for processing. The cycle includes the processing, rating and posting of activity and usage and the generation of bills to be rendered. Typically, the CRIS cycle is the point at which it becomes billing period oriented. The smallest amount of time or resource that can be billed or charged. Billing increments include units of time (e.g. 1 minute or 6 second increments), number of messages, etc. The name associated with the BTN for the location. This is generally the business name and information must be given to the LEC upon phone line inception. Records must be changed if the business is sold and the new company must prove they own the number. The monthly billing cycle, usually lasting for 30 days. The billing period is a recurring monthly period with consistent billing dates. Example: 1/5/2002 through 2/5/2002. Broadband ISDN. A type of ISDN service that uses fiber-optic lines and ATM to deliver bearer services with data transmission rates of more than 150 Mbps. This is the next generation of ISDN service that will replace ISDN delivered via the copper wiring used today. Smallest unit of information (data ) that a computer can process. Broadband Local Exchange Carrier. A service provider offering broadband services locally. See Broadband. tenants or customers in their buildings. Bell Operating Company. A company that provides telecommunication services within a regional area. BellSouth is an example of a BOC. Printing of a white page directory listing in a bolder, heavier type of font. Charges for bold listings are included with directory advertising and they aren’t governed by a tariff. A busy hour not occurring at the same time each day over several days. (See also Last Trunk Busy Meter, and Busy Circuit). Bandwidth On Demand Interoperability Group. The merging of two or more B channels to form a single channel with a bandwidth greater than 64Kbps. Basic Rate Interface. A defined interface to ISDN that includes two B channels and one Data channel. Commonly referred to 2b+d. A device that connects two or more networks and forwards information (packets) between them. A bridge is sometimes called a data link relay or a level 2 relay. A bridge is typically simpler and less expensive than a router, but can only carry limited information from one network to another. A term associated with high-speed data transfer. In consumer access networks, broadband often refers to data transmission rates of 1 Mbps or higher. When referring to LANs, MANs, or WANs broadband data transmission rates are 45 Mbps or higher. 2-radio bandwidth is a frequency bandwidth that is much greater than the required bandwidth to transfer the information signal. Voice, data, or video communications where rates are greater than wideband communications rates (1.544 Mbps). charges for one or more earning numbers to be billed to a main number (within the same processing site). When a user exceeded their committed information rate (CIR) in a frame relay network. A condition of a line or trunk that is in use or in trouble, resulting in the inability to complete an additional customer’s call. A report given after a study of incoming call activity is recorded over a specified period of time. This report usually gives a detailed record of incoming calls attempted, detailing if trunk was busy, or if the call was answered, and the duration of the call. The outbound calls are known as originating calls and usage is detailed on the report. The calls are monitored for duration and documented on the report by the hour. These are also known as “traffic studies”. The term traffic refers to the telephone calls. A traffic study is conducted at the CO. The study is normally run during the business day and can be requested for a week or two depending on LEC equipment and terms. Most studies are free although some LECs do charge a fee. If your business is seasonal, be sure to conduct the study during the busiest time of the year. Some businesses actually remove and reinstall business lines over the course of the year as telephone traffic increases and decreases. Many businesses are continually changing, so a regular traffic study (every six months or yearly) is advisable. These studies need to be read by professionals who can judge the entire system criteria and translate the lines required in each service type scenario. For example if a location has both DOD and DID trunks the studies would need to be conducted on both trunk groups. Each trunk needs to be evaluated to discover exactly how many calls tried to reach you, but received a busy signal because all of your outside lines were in use. The measure of how many call attempts were placed by the originating caller (your office personnel) received a busy since all trunks were seized (in use). The correct configuration of the phone lines and system is critical in any business and should be addressed and evaluated by trained professionals. Some high end phone equipment has the capability to give activity reports (Call Accounting Systems) which measure the detail of calling patterns on the lines running through the system. See also Traffic Studies. Carrier Access Billing System. A computer-based system for maintaining records of toll usage and tariff information, updated daily from service orders, payments and adjustments. CABS produces billing information for access charges associated with Interlata calls. A completed communication between two stations on a network. The phone system your company purchases or leases may be equipped with call accounting. This equipment is included in some expensive phone systems and will keep track of outbound calls by extension and department and, among other functions, can be set up to run a traffic study. Check with a call accounting system provider for the features available. A term for Repeat Dial. A supplementary ISDN service that allows multiple incoming calls. Each directory number can have multiple call appearances, depending on the switch type. The term used in a traffic or busy study for an attempted inbound call or an originating outbound call. These calls are not always completed therefore the term attempt is used. This LEC service feature blocks all telephone calls 24 hours per day, or just at particular times. Generally a fee based service. The feature is activated when dialing directory assistance. The caller is asked whether they would like for their call to be completed. If the caller replies yes, then the call is forwarded directly to the desired number requested. If reply is no, then the caller must write down or memorize the number and dial the call themselves. This feature is usage based and billed per call with the number of call completions placed on the LEC bill. See also Courtesy Complete. A data record that holds information related to a telephone call. This information usually contains the origination and destination address of the call, time of day the call was connected, and duration of the call. designate call forwarding. Two types of call forwarding are regional call forwarding or call forwarding variable. Pricing for each type of call forwarding is designated by the LEC and each LEC may name their product with their particular term. The call forward feature is normally activated through a CO number and through use of *72 or 72#. It may be activated and deactivated by codes *73 or 73#. This feature is generally used in conjunction with voice mail. The feature is activated by the CO when line is busy. This in turn activates the call forward busy function and the caller reaches the predetermined number (or voicemail) instead of a busy line. Sometimes LEC uses *90 to activate and *91 to deactivate. This feature is generally used in conjunction with voice mail. The feature is activated by the CO when a line is not answered. This feature may be designed to forward after a predetermined number of rings (usually 3 or 4). This feature is generally placed on the main line or advertised number. The caller may be directed to a voicemail or to another location depending on the preference of the customer. Sometimes LEC uses *92 to activate and *93 to deactivate. This product gives the subscriber the ANI of the incoming call. An optional service that transmits the telephone number of the originating caller to a receiving telephone device. The device for Caller ID may be provided by the telephone company, or purchased.The receiving party is able to see the 10 digit number displayed on the device prior to answering the call. The process of setting up the call requires the Caller ID to be transmitted as a data parameter in the SS7 Initial Address Message from the originating end switch to the terminating end switch. Some Caller ID may also provide directory name listing information services. Caller ID can let the subscriber follow up on calls that would be lost with answering machines or voicemail since some callers prefer not to leave a message. The feature is used to screen callers (such callers do not receive a busy signal). An optional service using the Caller ID system. This system has the capability of displaying the phone number of the caller who is calling in while the line is in use via call waiting. An identifying number or code that is issued by a common carrier. This card is unique to the user (or specific) and allows the user to be charged for a long distance call by means of a phone bill (or long distance carrier billing ) for charges incurred regardless of where the call originates. Also known as *69. A calling feature from the LEC which allows you to hear the telephone number of the last incoming call by dialing *69 on a touchtone phone. It also allows you to call back the last incoming number by prompting the central office to redial the number. If the line is free, your call will go through. If it is busy, then call return will check the line for 30 minutes and let you know when the line is free with a distinctive ring. Call return only works on the last incoming call, and only if that call originates within your local service area. If you have a rotary phone you may be able to dial 1169 for the same service. This feature may be available on an unlimited basis for a flat monthly fee instead of usage based. Also known as Last Call Return, Call Again, and Missed Call. This feature may be disconnected with some LECs by dialing *89. To screen calls from the last number that called you, dial #01# after you hang up from the call. A dialing feature code that is used by a customer to identify the calling telephone number of an unwanted or harassing telephone call. This call trace feature temporarily stores the dialed digits and alerts the telephone service operator to “tag” the originator’s number to allow authorities to investigate the originator of the unwanted or unauthorized call. An access service provided by most LECs which allows the subscriber to transfer an incoming call to another phone within a Centrex system or outside the system. This is completed by first purchasing the feature from the LEC. Next place or answer a call from line with added call transfer feature. Then depress flash button or switchhook. Next listen for special dial tone (usually 3 beeps followed by a dial tone). Dial third party’s number, then when they answer, either notify them you are transferring a call or hang up. The transfer of the call has been completed. This is a feature added by the LEC to notify the customer using the line that another person is attempting to call. The caller does not receive a busy signal. To deactivate Call Waiting with some LECs, dial *70. Common ISDN API. A collection of functions for handling ISDN communications at the messaging level. Competitive Access Providers. Provide users with access to both local and long distance services, sometimes by bypassing the LEC. Often the CAP compete with the LECs. Carrier Centralized Automatic Reporting On Trunks. A system that automatically and routinely reports on the performance of trunk lines to ensure high availability and to avoid potential failures. The reporting system may check for performance of the trunk lines in return loss, line noise, timing precision, transmission and call processing criteria. CABS Billing Output Specifications (CBOS) Standards. Guidelines with formats for billing usage. The facility (or switch) used by the LEC that connects subscribers to each other. Central Offices have End Office Switches and Tandem Office Switches. See CO for more detail. A service for Centrex customers that enables communications between a customer’s computers through the networking and switching facilities of the central office. A service provided by a central office that provides a virtual PBX to a set of extensions. It offers features such as transfer, conference, and forward within that set of extensions. Equipment allowing analog conversion to digital and multiplexing of signals. This multiplexer can merge 24 voice grade analog trunks and/or data circuits into a single T-1. The number under which usage may be recorded. A device that links the Go path to the Return path of a circuit at the incoming end of the circuit to permit the outgoing end to verify the continuity on a loop basis. Check loops are in the Signaling System 7 protocol. These help in testing, and tracking maintenance activities. See Loop Maintenance. Carrier ID. A three or four digit code assigned by Telcordia to identify each IC. Committed Information Rate. The guaranteed amount of traffic that the network will support at any given time. The measurement is determined by bits per second, and burst intervals. A form of communications in which an information transmission path between two devices is routed through one or more switches. The path is assigned for the duration of a call. Interexchange Carrier (IXC, IC) are known as Class 3 Switches. This switching system used for voice connections to interconnect local telephone switching systems. Also known as tandem switches. A switching system used by the LEC the last point in the network prior to the customer equipment. These switches are also known as Central Offices. Term 5ESS is a trademark of ATT. See also ATT® “5ESS”. Competitive Local Exchange Carrier. A telecommunications company competing for the same Local customer market as an Incumbent Local Exchange Carrier (ILEC). Common Language Location ID. This is used by Network to identify the physical location of recording offices. A commonly used term that refers to any large network in a frame relay. Customized Large User Bill. An option for large customers to have their bills combined and printed on 8 ½” x 11” papers. Central Office. The site where the local telephone switches reside for all the telephone system’s call routing and other functions. This is the telephone company side of the local loop. This facility (or switch) is used by the LEC to connect subscribers to each other. Central Offices have End Office Switches and Tandem Office Switches. Coder/Decoder. Transfers analog data into a digital data form and converts digital data back to analog form. A call paid for by the party receiving the call (destination phone number). Collect calls require approval of the person taking the call. Telephone companies that provide long-distance telecommunication services, such as AT&T and MCI. Forward or reverse logical channel (f/r ctch) that is used to carry short data bursts associated with the data service in the dormant/burst sub-state of the dormant state. This logical channel is a point-to-point channel that is allocated for the duration of the short burst. It shares access among mobiles and/or PLICF instances. A process for reducing the number of bits required to transmit information. Data transmission speeds up as much as 4 times faster when compression is applied to an ISDN connection. Connecting 3 or more phone lines or telephones to a telephone conversation. A packet of data that is sent in a communication system that is used to control the transmission (link layer) used in frame relay. A process mostly used by PBX telephones and mobile telephones to allow a dual tone multi-frequency (DTMF) signal to be transmitted as long as the key is depressed. Some phones have a fixed (predefined) time limit. Short DTMF tones may not allow access to voice mail and answering machines. Long DTMF tones that are sent over poor lines (such as analog radio channel) may be translated as multiple digits if temporary lapses or distortion occurs during DTMF transmission. See also Repeat Dial. To activate with some LECs dial *66 and to deactivate dial *86. This is a Call Completion feature available from the LEC. A directory assistance call completion available for business to offer to pay for their callers to receive call completion service free of charge. This compliments a business showing the caller you are service-minded and it makes them less likely to call a competitor. or lease, install, and maintain their own CPE. Customer Records and Information System. A computer-based system employing a central computer file for maintaining records of customer service and equipment, updated daily from inputs, such as service orders, payments, adjustments, and tolls. The purpose of this system is to produce customer’s bills and reports. Circuit-Switched Data. An ISDN circuit-switched call for data in which a transmission path between two users is assigned for the duration of a call at a constant, fixed rate. Customer Service Record detailing services by use of USOCs. The official record of a customer’s account. A device used to access digital data channels. A federal tariff for hooking up your ISDN line. Also referred to as an End User Common Line Charge (EUCL), or Subscriber Line Charge (SLC). Every ISDN line is charged one CALC or EUCL. The amount varies by state or province. See also Federal Subscriber Line Charge. carrier channel, between a user’s phone and a serving CO. See Local Loop. Directory Assistance. Services such as telephone number listings which are provided to callers by the Operator Services Department. Diskette Analyzer Bill available from BellSouth for CLUB bills to input to a customer’s PC. Data terminals use these lines for 24×7 dedicated data transmissions. One of the three standard channels on a Basic Rate ISDN line. At 16 kilobits per second, a D-channel can carry signaling information and low-speed packet data. The time it takes for a packet to be sent to the time it is received over the network. The “demarcation point”, or the point where the telephone company’s wiring stops and your wiring begins. In other words, the phone company will charge you extra for any wiring work performed on your side of the demarc. The physical device that connects the phone company’s wire to the premises wiring is called a network interface box. A routing switch term defining the point (route) a source signal is directed. An alphanumeric code that identifies the location to which output data should be sent. In the North American Numbering Plan, the unique 10-digit number assigned to a station (2-station). The code is made of a 3-digit numbering plan code, a 3-digit central-office code, and a 4-digit station number. Department Identifier. The name or identifier used by some LECs to identify the account on a summary or Club billing. Long distance services that require consumers to dial a long-distance provider’s access code (or “10-10” number) before dialing a long-distance number to bypass or “dial around” the consumer’s chosen long-distance carrier in order to get a better rate. The ability to dial up to a network using a modem and a telephone line. A method using differences in voltage, frequency, amplitude and location to process, or carry binary (0 or 1) transmissions for sound, computer, data, video or other media. This predetermines which frames can be discarded in a frame network. This allows the system to selectively discard data packets that are not essential. This is accomplished with the set CIR. numbers including different sounding rings. This is a good feature for small business or employees working from home. The user can tell by the ring whether the call is personal or business. Data Link Connection Identifier. Ten bit frame relay virtual circuit number. Allows data coming into a frame relay switch (node) to be routed to a specific address within the frame relay network. First it checks the integrity of the frame using FCS, and if an error is found, the frame is discarded. Then it looks up the DLCI in a table and if the DLCI is not defined for this link, it discards the frame. Finally, it relays the frame towards its destination by sending it out on the trunk or port specified in the table. This method gives more routing options. If one route is down, the system packet still gets there. The name of central office equipment manufactured by Northern Telecom. Directory number. Each BRI connection can have up to two directory numbers, one for each B channel. Directory numbers are telephone numbers for ISDN. Digital Subscriber Line. A generic name for enhanced speed digital services provided by LECs. DSL services use twisted pair wires to transmit voice and data transmissions. Digital Subscriber Line Access Multiplexer. This technology located in the CO concentrates traffic in ADSL implementations. The network elements that multiplex and de-multiplex DSO channels. Digital Subscriber Signaling System No. 1. The network access signaling protocol for users connecting to ISDN. It includes the CCITT Q.931 and Q.932 standards. Digital Service Unit. This device used to access digital access channels. Normally used in conjunction with CSU. Digital Signal Level Zero. Abbreviation for a 64 kbps telephone service. A 64kbps voice signal. The digital equivalent of an analog voice grade channel. See PCM. Also known as a T-1. A high speed digital trunk carrying 24 64Kbps/channel (1.544Mbps) also called voice channels. This line is divided into 193 bit frames and transmitted at 1.544 Mbps. These DS1 signals can be transmitted in unframed form where frames are 192 bits at a data transmission rate of 1.536 Mbps. Also known as a T-3. A high-speed digital transmission system with a 44.736 Mbps (45MB). A DS3 provides 28 DS1 channels. Data Terminal Equipment. Any device that converts information into digital signals for transmission or reconverts digital information into another form. Dual Tone Multi-Frequency, also known as touchtone. Using in-band audio tones to transfer information from a user to the telephone network through signaling. Each digit of information is assigned a simultaneous combination of one of a lower group of frequencies and one of a higher group of frequencies. These frequencies represent each digit or character. There are 8 tones that are capable of producing 16 combinations; 0-9, *, #, A through D. The letters A through D are normally used for non-standard systems (such as military telephone systems). See also Continuous DTMF. A feature of ISDN remote-access devices that allows automatic adjustment of the numbers of B channels in use depending on the volume being sent and received. An alphanumeric number that earns revenue. This is a number under which the customer’s service is provided. These earning numbers are organized in telephone number format. Enhanced Billing Services. A field organization within all BellSouth States that handle CLUB, DAB, RSB, EDI, CEPS, etc. Members of this group develop solutions for their companies. Electronic Data Interchange. The automated exchange of billing transactions (CLUB bills for BellSouth) in a standard format between computers. Electronic Key Telephone Service. The National ISDN-1 standard for working with supplementary service on an ISDN telephone or analog telephone connected to an NT1 Plus device. A process of sending messages in electronic format. These messages are usually in text form but they can include images, video clips, spreadsheets, and graphics. Conversion of electronic mail (ASCII Text) into fax image format, suitable for sending to a fax machine. Exchange Message Interface. Telcordia standard for message record (used interchangeably with EMR). Expanded Message Record. A standard format for toll call details which replaced the 80 column care format. The record length may be up to 175 characters. LEC switches inside the Central Offices used to directly connect end users and give them exchange services. This is the final termination location for purposes of interconnection to trunks. It is the combination of the remote switching module and its host. End Office. This Class 5 Central office normally provides only intra-office switching. The termination used in a BOC switching system within a LATA for customer’s loops. This is used for interconnection with Class 4 offices (tandem offices) or Class 3 –IXC toll centers which connect with other loops and to trunks. This is the final central office before the end user’s telephone. The electronic serial number of a cellular phone, which is embedded within the signal and transmitted every time a cellular call is placed. Electronic Toll Collection System. An automatic switch polling system. The local area network protocol used in most PC networks. Typically, most Ethernet networks support data transmission speeds up to 10 Mbps. The name of central office equipment manufactured by Siemens Stromberg-Carlson. in place. A call between any two points in an exchange area is considered a local call. This is a service from the CO facility that provides users with basic line services along with any other service provided to the subscriber via a telephone connection to a unique telephone number address on the PSTN. A billing arrangement where unlimited calls to specific areas outside of a normal flat-rate area are offered to a customer for a fixed monthly fee (usually through a calling plan). The transmissions lines, consisting of cables, telephone poles, conduit, microwave, or carrier equipment, central office equipment used by a telephone to provide telecommunications services. This includes long distance services. Facilities are the circuits available to make calls. A Competitive Local Exchange Carrier who owns his switch, NPA-NXX and RAO code who interconnects into the BellSouth network. Also know as a Facilities-based carrier. Federal Communications Commission. The US government agency responsible for regulating the telephone industry. The FCC is the agency in charge of interstate telecommunications service. For complaints and inquiries contact: Sharon Lee, Chief of Consumer Protection, 1919 M Street NW, Washington, DC 20554; or call 202-418-7534. Foreign Central Office – This Central Office is located outside user’s Local Central Office. When using an FCO, a line may provide (for a fee charged to owner of line)a seemingly local connection to a calling area normally requiring a toll. See also Foreign Central Office. A fee charged to subscribers or other telephone companies by a local exchange carrier for the use of its local exchange networks. See also Federal Subscriber Line Charge. This is a federally ordered charge billed by your LEC used to pay some of the cost the LEC has when providing a phone line to your home or business. It is designed to help LECs recover the cost of providing “local loops” which refer to telephone cables, wires, underground conduit, telephone poles and other equipment connecting you to the telephone network. This is not a tax. It is a charge that is part of the price you pay to your LEC. Neither the FCC, PUC, or any other governmental agency receives the Federal Subscriber Line Charge. The FCC does place a maximum cap on this charge. This is a tax which appears on your local and long distance phone bills. It is a percentage charged by all companies. Also known as FET, and Federal Excise Tax. The financial mechanism which helps compensate telephone companies or other communications entities for providing access to telecommunications services at reasonable and affordable rates throughout the country, including rural, insular and high costs areas, and to public institutions. Companies, not consumers, are required by law to contribute to this fund. The law does not prohibit companies from passing this charge on to customers. Feature Group D. The Equal Access Connections is a trunk side switched access connection. A new generation of telecommunications wiring that uses light beams sent through thin strands of glass. Field Identifier. A code used to identify a billing preference or attribute of a customer’s account. North American traffic report number. This term was designated by the US FCC in the year 2000 as the universal telephone number for vehicular traffic reports. Price setting guidelines for a service provider that wishes to charge the same fee for calls regardless of the number of calls made, or the duration of each call. This Central Office is located outside user’s Local Central Office. When using an FCO a line may provide (for a fee charged to owner of line) a seemingly local connection to a calling area normally requiring a toll. Used for lines outside the CO’s territory to maintain local fee for person calling. These are outside LEC’s local calling area, usually in a another city. FX lines may be used for outbound calls as well as incoming calls. These should only be considered after careful calculations are completed. If calling area has heavy usage and there is a large cost difference between the cost of the FX line and any calling plans available either from the LEC or IXC. See also FX. These are normally used for advertised numbers and placed in white page directories. These directories are in calling areas other than their local directory. transmission. Typically associated with synchronous, dedicated communications where simultaneous two-way, full duplex transmission is required. Frame Relay Access Device. Also known as a Frame Relay Assembler. The piece of equipment (device) used within a communications network to convert data from the user’s network into the format required by a frame relay network. A switching method which transmits frames of data by using shared network resources. It is used to communicate data to numerous locations. The packets can be transmitted intermittently with very little margin of error. Frame relay uses packet switching technology to offer advanced error protection with retransmission. Frame Relay usually requires a Local Loop at each end of the connection giving higher bandwidth technology. Some advantages of frame relay are that it is more cost effective, has less network downtime, is a more efficient use of network resources, is easily updated, and is standards-based. The process of obtaining or using telecommunications service without authorization. calls or use your electronic mailboxes. It sometimes occurs when people charge unauthorized items to your telephone bills. Long distance has the greatest occurrence of fraud. A European term for service that allows callers to dial any telephone number without being charged for the call. The toll free call is billed to the receiver of the call. In North America and other parts of the world, FreePhone calls are sometimes called “Toll Free” and they begin with 800, 888, 877, or 866. Frame Relay Network Device. A packet switch that also operates as a gateway to the frame relay network. This device passes frames that it receives from the FRAD to other frame relay switches that forward packets toward their destination network. Frame relay switches connect to FRADs at the edge of a network over a digital local loop. The bi-directional communication capability in which transmissions can travel in both directions simultaneously. A classification of ISDN operational functions used to describe what tasks different components of an ISDN configuration perform. For example, the Network Termination 1 function defines the NT1 device that presents your premises as a node on the ISDN network. Another functional device is the terminal adapter, which defines the role of an adapter to convert some other form of communication to ISDN. Another example is a TA allowing an analog telephone to communicate over an ISDN device. Foreign Exchange. Used for lines outside the CO’s territory to maintain local fee for person calling. These are outside LECs local calling area, usually in a another city. FX lines may be used for outbound calls as well as incoming calls. These should only be considered after careful calculations are completed. If calling area has heavy usage and there is a large cost difference between the cost of the FX line and any calling plans available from the LEC or circuit from an IXC. See also Foreign Exchange. Currently, the most widely-used facsimile protocol, which operates over analog telephone lines or with a terminal adapter over ISDN. A facsimile protocol that allows high-speed, digital fax machines to operate over ISDN. Data transmission that only takes place one direction at a time. The point on a network where circuits are connected. This is a feature which allows calls directed to one number to forward automatically to other lines on the phone system. This hunting pattern is set up at the CO and can’t be changed without customer order requests to the LEC Business Office. These are sometimes called Rotary lines or roll over. Interexchange Carrier (also known as IXC). Carrier that provides connections between LATAs and serving areas. In some states the IC is allowed to transport Intralata traffic. Any certificated company providing telecommunications service between local calling areas as those areas are described in the approved tariffs of individual local exchange companies. This definition includes, but is not limited to, Multiple Location Discount Aggregators. For example, AT&T and MCI are Interexchange Carriers. Interexchange Carriers can also be referred to as common carriers and Interexchange Companies. See also IXC, IEC. A service available from Qwest LEC offered to a caller who attempts to call a number but doesn’t reach the party intended after 3-4 rings. This I Called Feature service asks the caller if they would prefer to leave a message for the party they are dialing. This saves the caller time and assures message delivery. See also Message Delivery. Interexchange Carrier (also known as IC). The protocol that defines an Ethernet network at the physical layer of network signaling and cabling. Incumbent companies created during the divestiture in 1984. Network signaling that is carried in the same channel as the bearer traffic. In analog telephone communication, the same circuits used to carry voice are used to transmit the signal for the telephone network. Touch Tone signals are an example of in-band signaling. The indicator used for measurement of the number of attempts counted at the incoming end of a trunk group which seize a trunk in the group. This peg count measures the incoming calls entering into a circuit. See Inside Wiring Repair Plan. Wiring work that, in order for you to have an ISDN line, may need to be done on your side of the demarc. Typically, you have the option of doing it yourself or having the phone company do it for an extra charge. See Wiring and Protection +. Users are responsible for repair and maintenance of telephone wires located inside the walls of their business. Some LECs offer an optional plan in which their customers pay a monthly fee to help cover any potential repair costs. When renting a facility, or in newer facilities, or if using a dedicated phone vendor it is not a recommended item to purchase. Also known as Line Backer and Inline Repair. competing with one another for customers or be serving different, adjacent territories. A specification that defines the protocols used at a particular reference point in a network,. The Basic Rate Interface (BRI) refers to an access interface to ISDN. Local calls originating in one local access transport area (LATA) and terminating in another LATA, or outside of a LATA. Long distance carrier (IXC) handles these calls and lines may be PICC’d to preferred long distance carrier. number such as cellular or another line in which to call. 3) Play customized messages. 4) Send caller to voicemail. 5) Ignore the call. Two pieces of equipment are interoperable when they work together. Standards make device from different vendors work with each other. See 9zr and FCC Access. Toll calls originating in one state, and terminating in another. This is a long distance call. These toll calls cross a state boundary. Interstate operations are regulated by the Federal Communications Commission (FCC). Local toll calls within a LATA. The services, revenues and functions that relate to originating and terminating calls within a single local access transport area (LATA). The 1982 Modification of Final Judgment (MFJ) allows LECs to handle these calls without an IEC. Long Distance calls originating and terminating within the same state. A Wide Area Telecommunications Service (WATS) enabling customers to receive long-distance calls billed on a bulk basis. This term has been replaced by 800 service. These calls are free to the user and billed to the party receiving the call. businesses today. There are two types of ISDN used in North America; PRI and BRI. The address of a specific ISDN device. It comprises an ISDN number plus additional digits that identify a specific terminal at a user’s interface. An ISDN number is the network address associated with a user’s ISDN connection. A predefined number that tells the phone company how to provision your ISDN line based on the requirements of your ISDN hardware. A telephone designed for ISDN service. It typically includes programmable buttons for managing call features and an LCD display for viewing caller information. Independent Telephone Company. In the U.S., a telephone company that was not owned by AT&T prior to divestiture. The billed calls listed by number listing the specific call with date and time specified. International Telecommunications Union. An organization under the United Nations that prepares telecommunication recommendations or standards, including many related to ISDN. The ITU was formally the CCITT. Interactive Voice Response is a process of automatically interacting with a caller through computerized audio prompts instead of human intervention. This process is used to request information and store responses from the caller. The responses can be in the form of touch-tone(tm) key presses or voice responses. Voice responses are converted to digital information by voice recognition signal processing. IVR systems are commonly used for automatic call distribution or service activation or changes. Interexchange Carrier (also known as IC). Carrier that provide connections between LATAs and serving areas. In some states the IC is allowed to transport Intralata traffic. This is the device used to interface your line with your equipment. The jack is the demarcation point between the LEC and the customer responsibilities. There are over 40 different types of jacks available. The RJ11 jack is used for connecting the single line telephones or fax lines to the equipment. The RJ21X is used for connecting up to 25 lines to the equipment. Kilobits per second. The unit of measurement in thousands of bits per second for data transmission. One kilobit is equal to one thousand bits. Telephone equipment with extra buttons that provides users with more functionality than regular telephones. ISDN phones and NT1 Plus devices that support analog telephone include key systems. A key system in a protocol invoked when you press a sequence of keys on the analog or ISDN telephone’s dialing pad. Location Area Code. (1- GSM) A code assigned by the system operator to identify specific areas of operation. These LAC identifiers can be used to indicate regions that have different billing codes. These can also identify the types of authorized service features. Local area network. A group of computer and other devices linked via a network operating system. LANs vary in size but are restricted to a single location because of cabling limitations. Normally limited to less than a mile in distance. The leading protocol for LANs is Ethernet. Leading PC LANS include Novell’s NetWare, Windows for Workgroups, and Windows NT. A traffic meter, often called an LTB meter, that records a last-trunk-busy condition. This is the number of times that the last trunk in a selected group becomes busy. Local Access Transport Area. Local exchange carriers (RBOCs) provide service within a LATA. Typically a LATA comprises multiple area codes. In most cases RBOCs are prohibited from offering telecommunication services between LATAs. Line Information Database. Maintains calling card verification data by most RBOCs. IXCs contract with RBOCs for this service. See Inside Wire Repair Plan. A means for providing ISDN at distances beyond the normal limit between the central office and your location. See Busy Study and Traffic Study. See Bold Listings, Additional Listings, Foreign Listings, Standard Listings. Loop Maintenance Operating System used to record customer trouble reports and to track subsequent maintenance activities for telecommunications service. same wires used for ISDN service but require new equipment at the end user’s premises and at the telephone company. approved by the FCC. See Number Portability Service Charge, or LNP. The diagnostic test for a signal to transmit while the sending device waits for the signal to return to the source. Known as LMOS in most Bell LECs. This is the maintenance system used to input, test and track POTS trouble reports. distance and quality requirements of 18,000 feet from the central office that provides the ISDN service to you. This test is done prior to order placement. A method of demanding dial tone from the CO by completing an electrical pathway between the outbound and return conductors of a telephone line. Loop start is employed by single-line telephone instruments. The three available channels of a BRI connection, which are defined not as three physically separate wires, but as three separate ISDN system channels. Local Presubscribed Interexchange Carrier. A customer choice to identify through the LEC which LEC or LD carrier will handle their Intralata traffic. The LECs are identified by a four digit numeric code known as the LPIC. Line termination. Defines the local loop at the telephone company side of an ISDN connection to match the NT1 function at the customer end of the local loop. Moves, adds and changes. Configuration changes to existing service or equipment. An account required before a CLEC can order UNE services. This is the account in the CRIS Billing System on which BIBS UNE usage is billed. Mega Bytes per second. Millions of bits per second. This is used in the measure of bandwidth on a data transmission medium such as twisted-pair copper line, optical fiber or coaxial cable. Telephone service provided on a usage-sensitive basis with calls priced on a basis of two or more elements; distance, duration, frequency, and time of day. Calls may be rated on a full minute incremental fee basis. A computer record that contains detailed information about a telephone call, such as the originating and terminating telephone numbers, the start date and time, and the ending date and time. A LEC usage based service allowing caller to leave a message when dialing a party and receiving a busy signal. A guideline used by LEC for billing on a per call basis where each call is charged a fee for usage. These calls are normally broken into zones (or calling areas) and rated according to the tariff within each LEC. Some LEC and Long Distance Carriers may have a minimum monthly amount you must spend within a calling plan they offer. This is not the same as a monthly fee. If the calling plan requires that you spend $20 per month but you make only $10 worth of calls, the LEC or LD carrier will charge either the difference of $10 as a minimum monthly fee, or an additional $20 as a minimum monthly fee. Signal Conversion Equipment. In computer communications, a device that can modulate digital signals from a computer into analog signals that can be transmitted over analog communications channels, and vice versa. It provides the interface between digital terminals and analog carrier systems. Numerous extra functions may be added to a modem to provide for customer service and control functions. In FDM carrier systems, a device that converts the voice band to and recovers it from the first level of frequency translation. Some LEC and Long Distance Carriers may charge a per month fee in addition to other fees. Regardless of the number of calls you make or the dollar amount spent, the company will assess this fee. Allows you to combine two or more B Channels into a single, faster PPP connection. With Multi-link PPP, you could have a 128 kilobit/second PPP connection over a Basic Rate ISDN line. The next releases of Windows 95 and Windows NT will include Multi-Link PPP support. A company contracts with unaffiliated entities to obtain bulk/volume discounts under multi-location discount plans from certain underlying carriers, then offers resold service by enrolling unaffiliated customers. followed by the seven-digit local telephone number. Network Access Points. The switching point through which a call is processed. The NAP switches the call based on routing instructions from the NCP. Also known as N1-1. Defined by Bellcore, National ISDN 1 (NI-1) is an agreement among telephone companies and CPE vendors to jointly provide the first phase of standards-based ISDN. NI-1 is a collection of standards to allow CPE to work across different telephone company switches using the Basic Rate Interface. Future standards, denoted as NI2 and NI3, are currently being developed. Network Driver Interface Specification. Developed by Microsoft NDIS. Provides a common set of rules for network adapter manufacturers and network operating system (NOS) developers to use for communication between the network adapter and the NOS. A group of computers connected together to share data, programs, and operations. This group is connected through a wireless or cable platform. The components making up the local home network required to deliver phone calls from one point to another. Some elements are central switch, trunk lines, and the local loop. The device at the point that the wires from the telephone company and the end users wiring meet. This fee is charged by each county to support the cost of emergency telephone service. The LEC collects the fee and sends it to each county. One time charges normally for facility installation. the NXX to determine the end office. The device that connects to your ISDN hardware and works as a converter between an ISDN U-interface and an ISDN S/T-Interface. Some ISDN adapters have a NT-1 already built into them. This is easier and less expensive than an external NT-1, but may prevent you from connecting other equipment to your ISDN line. A device that includes a built-in NT1 as well as ports to connect other devices (analog or ISDN). or X.25) to an ISDN line. Network Termination 2. A device that handles network termination and switching functions, typically embodied in PBXs (Private Branch Exchanges). An NT2 device performs intelligent operations such as switching and concentrating traffic across multiple B channels in a PRI line. Interim-Allows a subscriber to change its local service provider and retain its phone number. This service provides an interim procedure until long term local number portability is deployed. The interim procedures are intended to make it possible for the LECs to acquire customers in the near term future without having to overcome the competitive disadvantage of requiring a directory number change. Local-Allows a subscriber to change its local service provider and retain its phone number. A three character numeric code that indicates the calling area in which the call originated or terminated. The NXX is used in conjunction with the NPA to determine the end office. A fiber optic line capable of 155 megabits per second (155,000K). A fiber optic line capable of 2400 megabits per second (2,400,000K). Operating Company Number. The code used to identify a telephone company. A LEC feature allowing a call to ring on up to 2 additional phones simultaneously. The first phone to answer the call is connected. This allows only one number for various lines to be remembered by caller. Dial zero from your phone to reach the LEC operator and OO to reach the IXC operator. Company provides or plans to provide alternative operator services for IXCs; or toll operator services to call aggregator locations; or clearinghouse services to bill such calls. Off Premise Extension. Directly connect user’s telephone system with secondary remote location’s equipment that is located off the premises of the phone system that is transferring the telephone call. 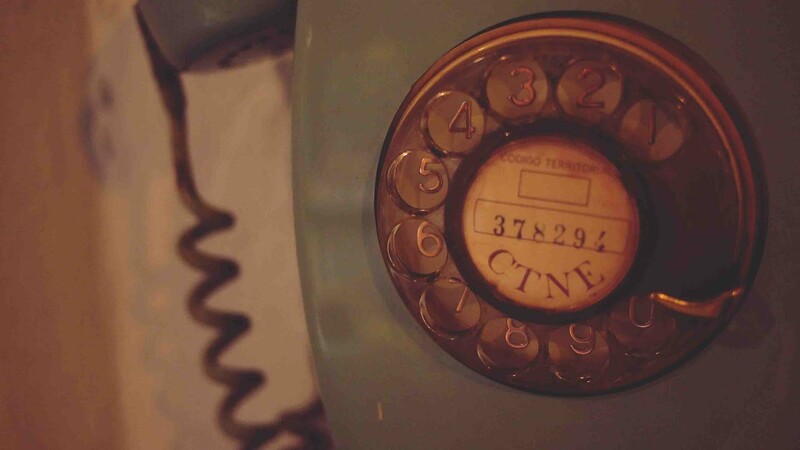 The telephone number of the device that originates a call. The originating number is normally supplied as an ANI. The central office or switching base location where a call or service originates. The signaling location a message is generated from. messages rather than audio signals, as in the case with the Touch Tone analog telephone system. A Wide Area Telecommunications Service that permits customers to make high-volume long-distance calls within assigned geographic areas. The calls are bulk billed rather than individually billed. Switched traffic requiring more trunks than are available resulting in a busy signal to caller. A technique of providing more capacity (more circuits, trunks, switched services) than is actually needed for a given application. Sometimes the intent is to reduce delay and/or to simplify the overall system design. A bundle of data. Packet delivery is the most relevant measure of an IP network. A data transmission method in which data is transferred via packets. A packet is a block of data. Packets are sent using a store-and-forward method across nodes in a network so various routes can be taken efficiently to avoid overloading the single facility. Paths are not permanent but transient and powerful. This LEC feature notifies a pager when a new message enters your voice mailbox. Password Authentication Protocol. A security language that establishes a two-way handshake to verify the identity of two computers. In PAP, passwords are sent in text format. Conversion of a stream of multiple data elements received simultaneously into a stream of data elements transmitted in time sequence. A device that converts parallel input data into a sequenced stream of signal elements (usually data bits). The frequency spectrum that determines the amount of data that can be transmitted through a channel. The passband is what determines the band width of a channel. Refers to the ability to connect multiple devices to a single BRI connection without repeaters to boost the signal. The configuration of the passive bus combines the terminating residence for all the devices connected to your ISDN line to add up to 100 ohms. A telephone that requires coins to be inserted or a calling card to be swiped or inserted before a phone call may be placed. Some pay phones allow toll free or free phone calls to be originated without the need for coins or calling cards. Payphone service providers must be compensated for toll free calls made through payphones. Most long distance companies pass this charge on to your long distance bill for calling card calls placed from payphone or toll free calls received by you from a payphone. This is not a tax, and can vary from company to company. Any certificated telecommunications company which provides pay telephone service. Private Branch Exchange. A PBX is a private telephone switch that provides switching (including a full set of switching features) for an office or campus. PBXs often use proprietary digital-line protocols, although some are analog-based. Pulse Code Modulation. The method used to convert analog audio to digitized audio. The total number of any incoming or outgoing traffic event (incoming call attempts or outgoing attempts) that occur during a given period. An example is the number of times a switching-system component functions during any given hour. The peg count gives the raw output of your switch’s traffic info by providing the number of attempted calls, and the duration of each call documented on an hourly basis on the busy study (also known as traffic study). A count of the number of calls (bids) attempted on a group of trunks or a specific piece of common control equipment in a given time period. A trunk seizure is a bid for service on the trunk. Short term for PICC. Pronounced “Pick”. of the long distance charges. If you don’t have a long distance company selected, the LEC may charge this fee. Also known as FCC Primary Carrier 1st Line, Carrier Line Charge, National Access Fee, LD Line Charge, or Presubscribed Line Charge, Regulatory Related Charge. A physical connection in which a single network termination supports multiple terminal equipment devices. This configuration in supported by the S/T-interface. A connection established between one device on one end and more than one device on the other end. A protocol that allows a computer to use TCP/IP to connect to other computers over a standard phone line using a high-speed modem. Purchase Order Number. A customer generated alphanumeric item (up to 16 characters), that appears on the first line of the “Other Charges and Credits” detail. It is used to identify the customers unique purchase order or requisition number that authorizes the issuance of this requestor supplement. Point of Presence. The location of an IXP hub or base. Also a local dial-n point for an Internet Service Provider. Connection to the end office switch. The port offers vertical services. All local telephone companies are required to provide portability. In areas where number portability is not yet available there is no surcharge. This charge became effective on 3/17/99 and will be in effect for no more than five years. A telephone number which receives local exchange service from a company different from the LEC which originally assigned the TN (telephone number). TN served by another LEC but now served by LEC other than original LEC or vice versa. The entire path from the premise to the end office switch. These also offer vertical services like Call Waiting, Call Forwarding, and Caller ID. Plain Old Telephone Service: an analog (non-digital) telephone line. Point-to-Point Protocol/Multilink Protocol. The new Point-to-Point Protocol for ISDN connection that allows use of both B channel for remote access to the Internet. PPP/MP also allows different remote access devices to communicate with each other. A card that is issued by a company containing coded identification information to permit the card holder to initiate a call or request and receive an information service. Calling cards contain a number or code that uniquely identify the card and authorized services to the system. Any person or entity that purchases 800 access from an underlying carrier or unaffiliated entity for use with prepaid debit card service and/or encodes the cards with personal identification numbers. A LEC based feature allowing user to define priority numbers. This service allows change of callers and easy on and off properties. The benefits are that you can only receive important calls during special times. This feature also allows calls to be marked by a special ring. A type of ISDN service that offers 23 B channels at 64 kbps and one D channel at 64 kbps (23B+1D). In Europe, PRI provides for 30 B channels and two D channels (30B+2D). The point just before the network interface box at the demarc. The combination of device and service options that make up your ISDN line. You order your ISDN line, but the telephone company provisions the line, i.e.– it configures your ISDN service according to the physical capabilities of the switch, as well as the options you choose. Public Utilities Commission. See the location for your state. Master Billing Account. An account required before a CLEC can order UNE services. This is the account in the CRIS Billing System on which BIBS UNE usage is billed. The identifier in the routing path that a LNP query has been performed. A LEC feature allows user to block incoming calls while still allowing important calls to get through. This feature gives incoming callers a message during Quiet Time announcing that the caller they are trying to reach is unavailable at this time. If voicemail is on the line you can designate all calls go directly to voicemail during quiet time. The ISDN reference point that sits between the non-ISDN device and the terminal adapter (TA) functional device. Revenue Accounting Office. BellSouth billing system processing site. Regional Bell Operating Company. One of the local exchange carriers that were created during the break up of AT&T. RBOCs provide telephone service in a region of the U.S. They currently can’t offer long-distance telephone service between LATAs or manufacture equipment (this is in the process of changing soon). Charges repeating on LEC or other Telecommunications bills assessed on a regular basis i.e. monthly, quarterly or annually. Example line fees, features, etc. local loop of an ISDN connection. These reference points are also called interfaces, ex. U-interface or S/T-interface. Legislature has authorized a set monthly fee to help with the costs of providing special equipment for deaf, severely hearing impaired or speech impaired individuals to have access to the telephone system. Also known as Telecommunications Relay Services, 711 Service Charges. A call forwarding service that enables a customer to access the call forwarding feature whether the customer is at their office or a remote site. Access to this feature is limited to a specific line from which forwarding is to be authorized. Remote access is accessed by calling a shared number at a central office, entering a PIN (personal identification number), then processing as if local control applied. A phone service offering in which calls to a given directory number are redirected to another number, via the central office. Often directed to another city. A switch away from its host or control office. A terminal connection to another terminal over a phone line. A usage based feature for automatically redialing a busy number at certain intervals. This feature eliminates constant redialing and with this feature repeat dial automatically redials the number up to 30 minutes until line is reached. Once the call is connected then your phone will ring. Also known as Automatic, or Automatic Callback, Call Again, and Continuous Redial. This feature may be activated on a per call basis or unlimited use depending on LEC availability. To activate this feature with some LECs dial *66 and to deactivate dial *86. Equipment used to amplify a signal to boost the range of the signal over larger distances. Company primarily leases the transmission facilities of other carriers. Many Resellers have or plan to have one or more switches. Resellers bill their own customer base for services used. This LEC feature is used in conjunction with Caller ID. This stops calls marked unidentified by Caller ID before they reach destination and asks callers to input their phone number. This feature helps avoid telemarketing calls. This feature is only available from certain LECs. It is offered on names and addresses that customers have already agreed to have published in directories. Non published numbers will not be disclosed. See also Call 54. A device that connects two or more networks. A router works like a bridge, but has greater capabilities. A router determines where the destination computer is located, and then finds the best way to get there. The most common telephone jack in the world, this is a six-conductor modular jack wired with 4 wires. You probably have RJ-11 jacks in your house. An 8-pin connector jack used with standard telephone lines, and required by some ISDN hardware. A little larger than an RJ-11 jack. An industry standard for serial communications connections. host PC’s include one or more RS-232 ports for connecting devices such as a modem or a mouse. Pertaining to the sequential processing of elements of data through a single facility, where progress must proceed successively from the first element through the next. A data storage and access technique where blocks are read, one after another, until a desired block is located. The ISDN reference point that represents where a CPE connects to a customer switching device, such as a PBX system. This type of device is called an NT2 functional device. furnished through a common switching or billing arrangement to tenants by an entity other than an existing local LEC. The term used to describe what occurs when a customer’s long distance service is switched from one long distance company to another without the customer’s permission. Such unauthorized switching violates FCC rules. See Federal Subscriber Line Charge. Service Order Number. The system generated alphanumeric indicator (up to 10 characters) that appears on the first line of the “Other Charges and Credits” detail. It is used to identify the service orders that were placed in the billing period. Dedicated access for private line services. This is a feature available from the LEC which allows a customer to store numbers called frequently and then retrieve them by touching just one or two numbers on the phone pad. Some phone systems come equipped with predefined keys used for speed dial numbers -this is a similar feature. Service Profile Identifier. A number or set of numbers assigned to your ISDN line by your phone company. In the U.S., one SPID is assigned to each channel. The switch uses SPID as unique identification numbers for each ISDN line, so it can determine where to send calls and signals. Signaling System Number 7. A well known channel signaling system that performs network signaling functions. This is used to establish ISDN call functions. See also Origination Point. These are white page directory listings which are allowed for each separately billed main account number. Also known as Gross Receipts Tax Surcharge, State Additional Charges, Interstate Tax Surcharge, State Universal Service Fund, State Infrastructure Maintenance Fee. See State and Local Taxes. The part of the ISDN line that connects to the computer or phone Switch. The brand of equipment and software revision level that the telephone company uses to provide you with ISDN service. There are only a few types of switches in the world and usually just one in countries other than the United States. Fraud perpetrated by the subscriber in which false user ID information or fraudulently obtained customer information was used to obtain service. Perpetrators of this type of fraud obtain your personal information and use it to set up a cell phone account in your name. A monthly fee paid by telephone subscribers that is used to compensate the local telephone company for part of the cost of installation and maintenance of the telephone wire, poles and other facilities that link your home to the telephone network. These wires, poles and other facilities are referred to as the “local loop.” The SLC is one component of access charges. The pair of copper wires that connect the end user to the telephone network. These same wires are used to provide ISDN service but need the addition of the NT1 at the end-user location and the line termination at the central office. These white page directory listings are bigger and bolder with some in color. They are often separated from other listings by thick horizontal lines. The collection of voice communication services available via ISDN. These services include call management features such as call appearances, conference calling, and call forwarding. An additional charge for a service that is in addition to the phone bill basic charge. Examples of surcharges include additional charges for using pay telephone, calling cards, or toll free access lines. Same as the Central Office, the facility at which the customer’s local and long distance call is switched and routed to the trunk lines which direct it to the called number. The equipment that connects users of the telecommunications network. Each subscriber has a dedicated loop to the nearest telephone switch. All of these switches have access to trunk lines for making calls beyond the local exchange area. access is purchased by the Interexchange carrier from the local exchange company. Services provided over the PSTN. This company has no switch or transmission facilities but may have a billing computer. Switchless Rebillers aggregate traffic to obtain bulk discounts from underlying carriers. They rebill end users at a rate above heir discounts. Their rates are normally below the rate end users would pay for un-aggregated traffic. The ISDN reference point that represents where an ISDN device connects to an NT1 functional device. Terminal adapter. The ISDN functional device that allows non-ISDN devices to work with ISDN. This LEC feature is used in conjunction with Caller ID so that when you are on a call and hear a tone for call waiting you know who is calling prior to interrupting your current call. This feature identifies caller’s phone number or unidentified caller, allowing the user to make the decision on whether to answer the call or not. A switch connecting trunks to each other. The tandem switch is a high level switch that connects the originating call with final call destination. This tandem office also serves as an end office. It can provide access for nonconforming end offices. Also known as a level 4 switching system. A rate and availability schedule for telecommunication services that is filed with and approved by a regulatory body to become effective. Tariffs also include general terms and conditions of service. The documents filed by a carrier describing their services and the payments to be charged for such services. When billing and CSR reflect incorrect tariff, an order must be placed to correct the billing error. Credit received will depend on the date the item went into effect and the State it occurred in. receiving end collects all the data that was sent. TCP takes care of frame relay errors. TCP/IP stacks the software that allows a computer to communicate via TCP/IP. Terminal Equipment. A term for any device connected to an ISDN line. Terminal Equipment 1. Any ISDN ready device that connects directly to ISDN. An ISDN telephone is an example of a TE1 device. Terminal Equipment 2. Any non-ISDN device that must be used with a terminal adapter to work with ISDN. An analog telephone is an example of a TE2 device. The combination of a TE2 and a TA has the same functionally as a TE1. A free service that enables persons with TTYs, individuals who use sign language, and people who have speech disabilities, to use telephone services by having a third party transmit and translate the call. See Relay Charge. The combining of computer industry with telecommunications. The word used to describe the science of transmitting voice over a telecommunications network. Calls between two parties billed to a third number (usually the callers). This is a feature billed by the LEC and available on most modern phone systems. This feature allows three parties to be on the same line at the same time. This feature is available through most LECs on a pay per use basis. Some LECs offer a plan for a flat monthly fee with unlimited usage. A connection via trunks that connect one user’s location to a different, separate location. A crime in which a hacker obtains telecommunications services by breaking computer security using or selling stolen long distance credit card codes or accessing private branch exchange (PBX) and using its communications facilities illegally. Toll fraud is estimated to cost U.S. companies $1.2 billion per year. Services available from the LEC can be restricted by Toll Restriction blocks. Ex: Collect Call Blocks, 3rd Party Blocks, 900 Blocks, etc. These are reports (studies) measuring the active telephone service provided by the LEC by request. These are useful in determining calling patterns, analyzing lines needed, verifying billing, planning for changes in service and sometime used to check for abuse and to control it. See also Busy Study. A communication connection between two switching systems that is used for establishing an end to end connection. A type of machine that allows people with hearing or speech disabilities to communicate over the phone using a keyboard and a viewing screen. It is sometimes called a TDD. Another term for regular telephone wiring. Each telephone “wire” is actually a pair of wires. This fee may be added for access to government agencies. A communication circuit using one pair of wires for both directions of a transmission. Universal Asynchronous Receiver/Transmitter. UART chips are the part of your PC’s com port that handles communication between the CPU and the device on that com port. U reference point. The reference point of an ISDN connection that includes the local loop wiring up to the NT1 functional device. Individual components of the local phone network. The Telecommunications Act requires BellSouth to also sell components of the local phone network separately, so that companies wanting to enter the local market can buy only the service they need. services. Once the services are purchased, the CLEC groups different services together and offers them to their end users. Optional services the LEC may offer to their customers. Such services include Caller ID, Call Forwarding, Call Waiting, and Inside Wire Repair Plans.These services are not required for basic service. These services are optional and therefore not regulated. Universal Services Fund. All companies providing telephone service between states must contribute to a fund that helps to provide affordable telephone service access to customers with low incomes, consumers living in areas where the cost to provide service is extremely high, as well as to schools, libraries, and rural health care providers. The LEC are allowed to recover these costs from their customers. The LEC is also allowed to determine the method used to recover the charges. Some LECs do not charge this fee to their customers. The cost of a service, such as ISDN or analog telephone service, that is based on the time you actually use the service. Uninterruptible power supply. A device that ensures a back-up power supply for electrical devices in the event of a power outage. ISDN, NT1 Plus devices can include UPS for maintaining power for analog voice communication during a power outage. Uniform Service Order Code. These are either 3 or 5 characters and are either alpha, numeric or a combination of both. A standardized method of coding used on service orders and equipment records to identify items of service and equipment. carrier. Value added services include databases, time sharing facilities, network management, error control, protocol conversion, end-user support, applications development software, and/or electronic mail. Value Added Reseller. A company or organization that adds software, or documentation to products made by another manufacturer or service provider so they may be sold in the VAR’s sales and distribution system. VAR’s may modify a basic item for use in a specific industry. This is called vertical application. Services not part of the standard telecommunications services associated with a basic communication service. VAS services include voice mail, information services and content delivery. Most services offered by prepaid providers (i.e., voice mail, fax store and forward, interactive voice response, and information services) in addition to calling time. Value added tax. A tax that is added on to the value of the product or service. Another term used for voice mail. This LEC feature allows flexible ways to retrieve messages from anywhere at anytime. A system which stores messages spoken by a user. These messages can be retrieved by the intended recipient when that person next calls into the system. This operates just like a touch-tone controlled answering machine. An electronic storage mail box offered by the LEC. These are used today as replacements for answering machines. They operate better than answering machines during electrical outages since CO continues receiving messages when answering machines shut down without power signal. This allows a subscriber to receive and play back messages from a remote location (such as a PBX telephone or a cell phone). These Voice mail boxes are billed a recurring monthly fee and some have usage fees based on number of voicemail received. There are other benefits over answering machines such as call forward busy to voicemail. See Call Forward Busy or Call Forward No Answer. Sending voice transmissions over DSL networks. A process of sending digitized voice signals over frame relay data networks. Converting voice transmissions to packets of data, then transmitting them over an IP network such as the Internet. Dedicated connection to access switched network, usually long distance connections. These dedicated connections are being replaced by 800#’s and trunks. Billing devised of flat rate versus measured rate per call basis. A TN that was moved to another service provider, then returned to original LEC provider. The protocol for packet-mode services as defined by CCITT. A CCITT interface standard that allows computing devices to communicate via wide area packet-switched data networks. Dial around to another IXC provider. Example: Sprint 10-10222, ATT 10-10288, MCI 10-10333 etc. A communication circuit that uses one pair of wires for both directions of a transmission. feature is available through most LECs as usage based. Some LECs offer a plan for a flat monthly fee with unlimited usage. Directory Assistance for the local area. Provides information services in your area. Reverse Directory Assistance. This feature is only available from certain LECs. It is offered on names and addresses that customers have already agreed to have published in directories. Non published numbers will not be disclosed. See also Call 54.
feature temporarily stores the dialed digits and alerts the telephone service operator to “tag” the originator’s number to allow authorities to investigate the originator of the unwanted or unauthorized call. Repeat Dial. A usage based feature for automatically redialing a busy number at certain intervals. This feature eliminates constant redialing and with this feature repeat dial automatically redials the number up to 30 minutes until line is reached. activated on a per call basis or unlimited use depending on LEC availability. To activate this feature some LECs dial *66 and dial *86 to deactivate. known as Last Call Return, Call Again, and Missed Call. This feature may be disconnected with some LECs by dialing *89. Used to let callers use specialty services toll free (sometimes used similarly to 900 # -not always a free service). 700 numbers are different from all other NANP numbers because the destinations are dependent on the network (long distance provider) the caller has selected. A number to access TRS services, designated by US FCC in 2000 for TRS use. Call Forward. This is a feature which when activated will route the call automatically to a number other than the number dialed. Forwarding may be established and terminated based upon customer preference. There are several terms used to designate call forwarding. Two types of call forwarding are regional call forwarding and call forwarding variable. Pricing for each type of call forwarding is designated by the LEC and each LEC may name their product with their particular term. The call forward feature is normally activated through a CO number and through use of *72 or 72#. It may be activated and deactivated by codes *73 or 73#. An intelligent network service that facilitates the efficient provisioning of the 800 exchange access service through “number portability.” The service enables subscribers to change carriers without changing their 800 number. Subscribers can select any unassigned 800 # and use it with any participating carrier’s 800 service. Toll Free Calling which gives caller from allowed, open area (generally Interstate usage) a free call into a long distance site. The called party is charged for the call, rather than the party making the call. A communication center that allows toll free service providers (800, 888, 877, 866, 855) to access an administrative computer system providing toll free data base services. These prefixes are used to allow toll free calling past the borders of the country the subscriber paying for the calls resides in. These codes have been used to allow Caribbean callers to have toll free access in the US. With this type call the party placing the calls pays for the International portion of the call and the US (called subscriber) pays for the US portion of the call. This works within most countries using the North American Numbering Plan. A pay per call service with fee designated by the subscriber of the 900#. Some of the 900 services include information services, tech support lines, polling, fax services or other pay-per-use services. FCC charge for network access.